In the cat games that I introduced to you in previous articles, we went with the cats to save the world in The Battle Cats or Cat Quest. Today, let’s try out a puzzle game. 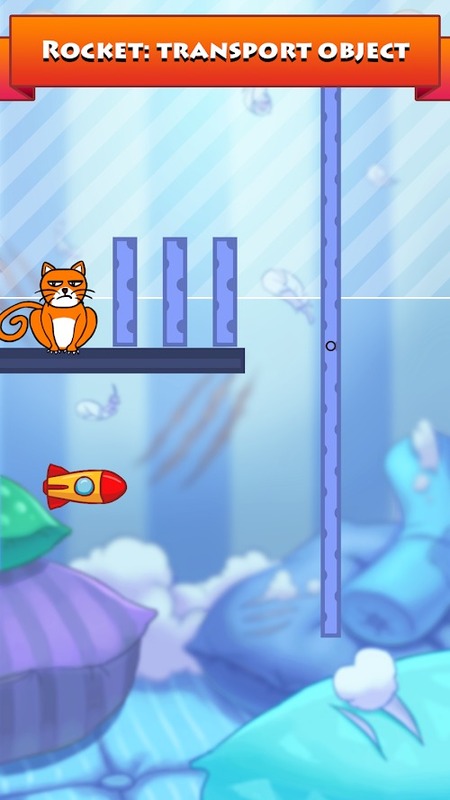 Hello Cats is the latest physics-based puzzle game released by Fastone Games. This game is free to download on both Google Play and Appstore. Different from the cats in the previous games, the cats in this game have no special strength and are not a knight, they are back to being lazy cats and … quite useless. The cats are very cute, live close and are very friendly with humans. But sometimes they are harassers that make us feel very upset. In Hello Cats, we will teach these cats a lesson. 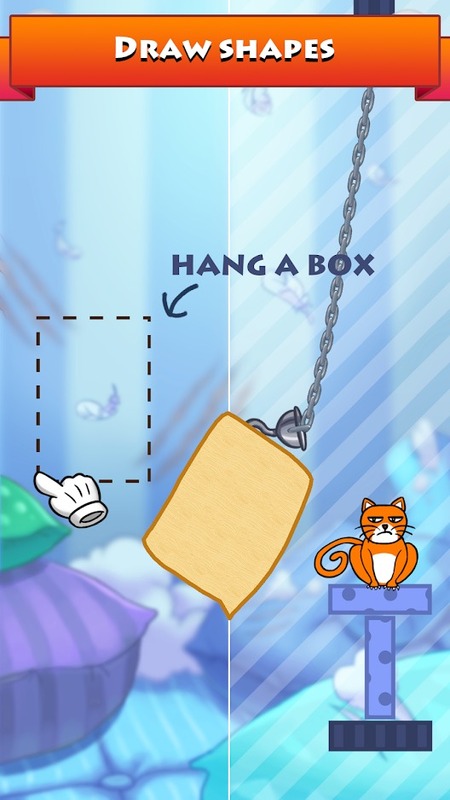 There are many ways to make cats angry, and for each level, you can freely create shapes and drop them based on physical rules. Some first levels, there will be a tutorial and you can pass it easily. But the puzzles are constantly changing and things get harder. But there are no puzzles that can not be solved, for failures you will learn a lot of experience to have more reasonable methods to solve the most difficult puzzles. Although cats sometimes annoy you, we still can not sit still when they need help. 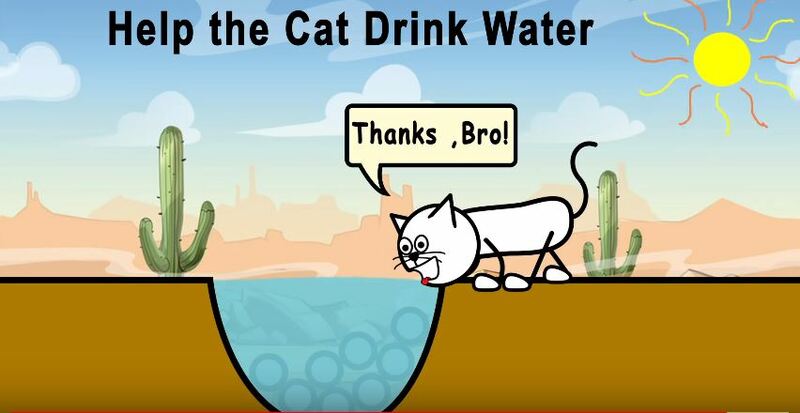 Hello Cats has some quizzes on how to help a thirsty cat get a drink, or a cat being trapped and you also have to draw the right shape to make sure they are safe. 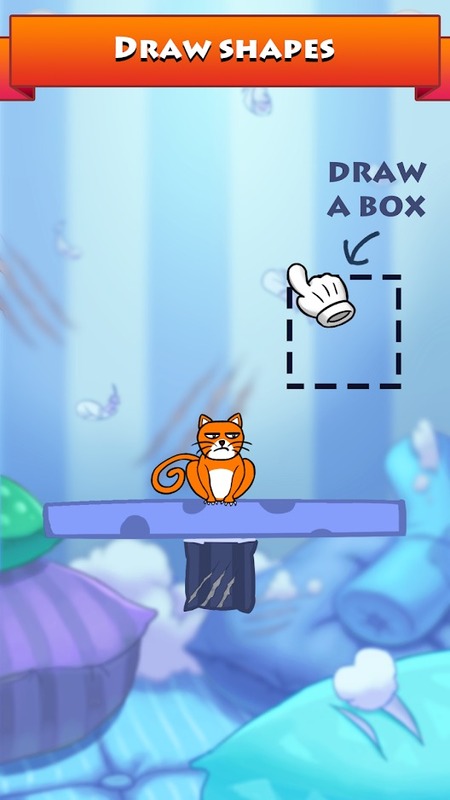 In most quizzes, you will not be limited to the number of draws, which means you can create different objects freely as long as they meet the task. However, you should not create too many things because of the game rating star based on the number of objects you have drawn. The more shapes you draw, the less number of stars you get. 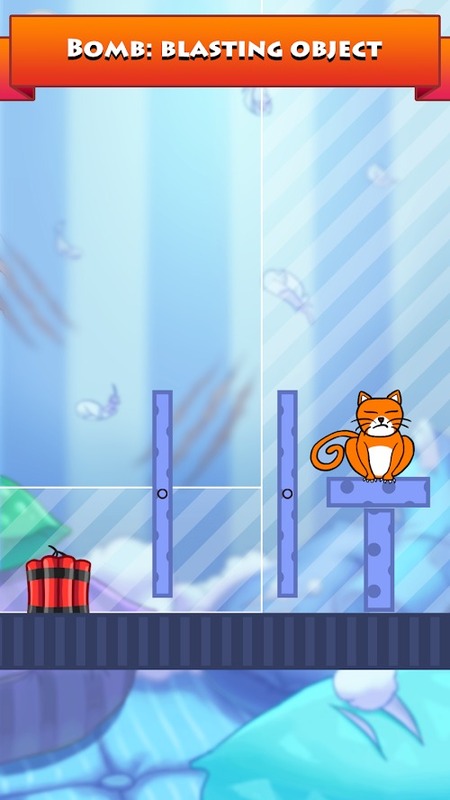 Currently, Hello Cats has 210 different puzzles arranged from easy to hard. At some first levels will appear the guide to help you familiarize yourself with the way the game is played. The puzzles are really fascinating but I just took a pretty short time to get past them easily. We hope that the publisher continues to have new updates with more interesting quizzes. The game doesn’t require an Internet connection, so you can play both offline and online. However, when you connect to the Internet, the game’s ad appears pretty much making your experience quite annoying, so I recommend you playing at offline. 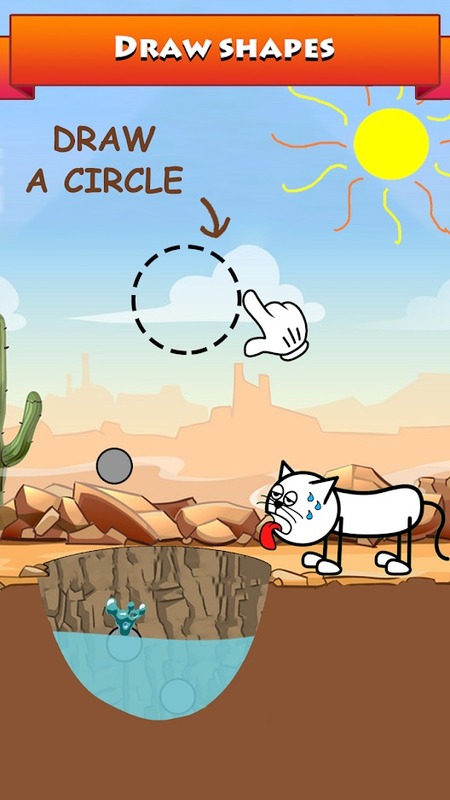 Hello Cats APK has simple and fun graphics. The design is like children’s paintings. The physical collision is very real, along with the fun sound that will bring you the most fun experience. This game is very fun, suitable for all ages, especially children. Not only entertainment, but games are also real challenges for you and children at weekend. Hello Cats MOD APK is ready to download! 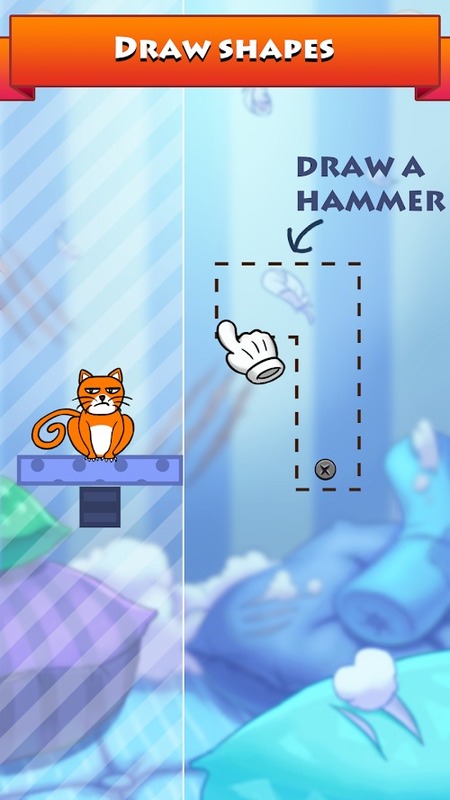 Depending on your needs, you can download Hello Cats MOD APK or Hello Cats Original APK. Or install from Google Play / App Store if you want.